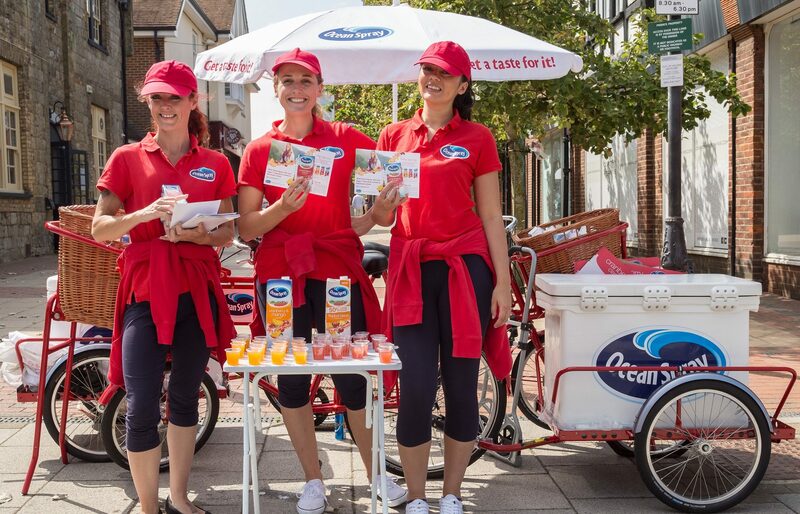 As part of a brand refresh for Ocean Spray, Multiply enlisted eventeem to provide a roadshow team that could re-engage with the consumer, enforce the Ocean Spray proposition, encourage trial of new variants & ultimately drive sales amongst: young people, active women aged 35-44 years and mature customers aged 45-64, living life to the full. eventeem provided two roadshow teams, each consisting of two brand ambassadors and one event manager, selected to reflect the target audience demographics. 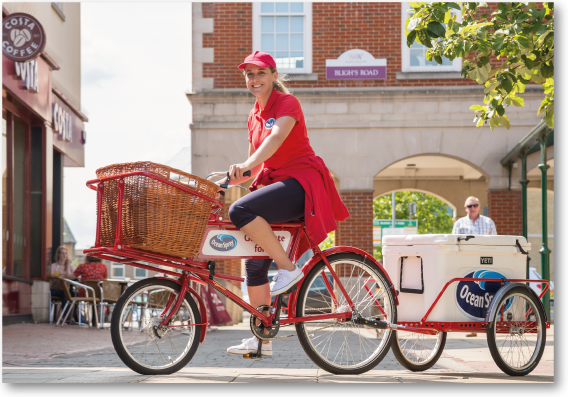 Targeting strategic locations throughout London and the South East, our teams took part in town centre guerrilla activity & TEG placements, with each team supported by two fully branded sampling bikes with chiller trailers, allowing samples to be distributed at ideal temperature.